Big News: FNM in Best Food Writing 2015! I’ve got some very good news to share today! 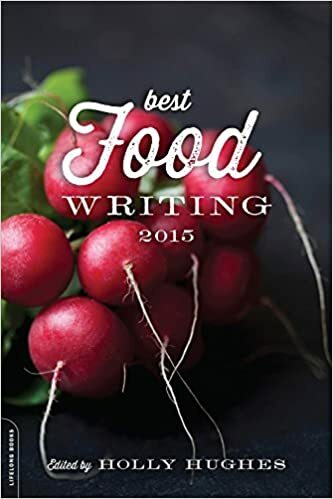 I’m so excited to announce that my essay “Friday Night Meatballs: How to Change Your Life with Pasta,” first published in Serious Eats, has been selected for inclusion in the Best Food Writing 2015 anthology, edited by Holly Hughes and published by Da Capo Press. I’ve enjoyed this anthology for years; it’s published many of my favorite writers, from Anthony Bourdain to Ruth Reichl. I’m humbled to be included in their company. You can pre-order a copy here, if you’re so inclined! There’s more info about the series, now entering its 15th year, at the Best Food Writing website. I’ll post updates on Facebook and Twitter as I know more. I owe huge thanks to the incredibly talented folks at Serious Eats, Pinnacle Performance Partners, and The Head & The Hand Press for their support– not to mention my husband and meatball chef Joe Cleffie, our daughter Lucia, and my mother, Vicki Grey.